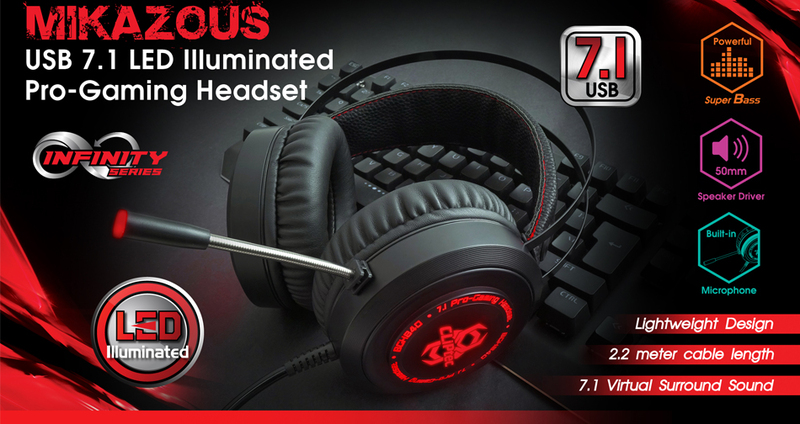 CLiPtec BGH840 USB 7.1 LED Illuminated Pro-Gaming Headset - Mikazous is the high quality sound experience with USB 7.1 channel virtual surround sound and high quality of 50mm neodymium magnet speaker driver, you can ensure a more stable and clearer audio output, perfect bass and treble play games, experience the real game. 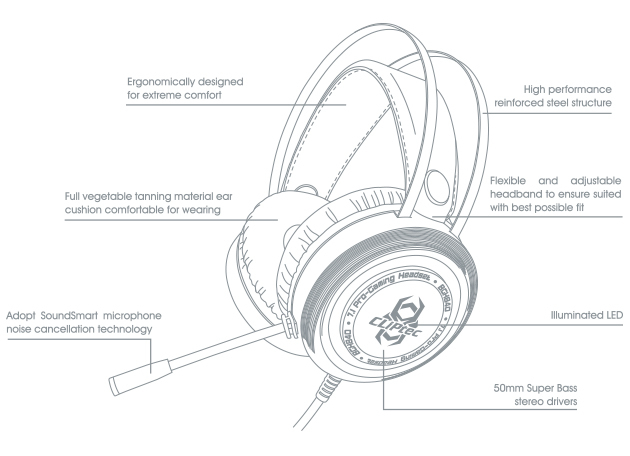 The headset reinforced structural housing provides the frameworks for a super comfortable build, with ergonomic headband and ear cushions. Perfect for gaming, music playback and movie. In addition, glaring LED illuminated light highlights the atmosphere of the game and reaches to an enjoyment climax. With USB 7.1 channel virtual surround high quality 50mm driver with neodymium magnet, you can ensure a more stable and clearer audio output, perfect bass and treble play games, experience the real game. Omni-directional microphone can be sensitive to pick up the sound, eliminate noise, and make it perfect with other player's exchange. 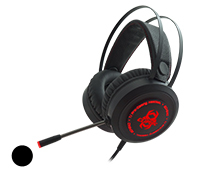 Illuminated LED style are designed on the ear cups, highlighting the atmosphere of the game. 2.2M strong performance wire, durable tensile effectively reduce the external resistance. The Over-Ear ear muffs use PU leather and stuffed with sponge inside, absolutely skin-friendly texture, is adjustable and soft on your head, very comfy and breathable for your ears.